Late night again, can&apos;t sleep, running out of things to read on the internet, YouTube has nothing new to offer, and there is no “new” news on TV. While not looking and changing channels, (it&apos;s a talent ladies), I look up and see a Jewish wedding. Immidiately started thinking to myself how many times have I seen a Jewish wedding on TV? hmmmm, Jeez, I don&apos;t know. Or rather, “Mozee”, I don&apos;t know. I started thinking why there are so many Jewish weddings on TV. In fact I think all weddings are Jewish. Except Mathew Perry in that movie with Salma Hayek. Then I really started thinking. Four Weddings and a Funeral was a non-Jewish wedding, so was Monica and Chandler&apos;s on Friends. Ross&apos; wedding to that English chick wasn&apos;t Jewish but his ex wife&apos;s wedding to her lesbian lover, was. All weddings on Will and Grace have been Jewish weddings, I think. I have never seen a Muslim wedding on TV or movies. Never a Buddhist wedding. I saw a Korean wedding on M*A*S*H once, it was pretty. I&apos;ve even been to a Korean wedding. Chinese weddings are rare; I don&apos;t know if they have a ceremony. I&apos;m sure most Americans don&apos;t since we get our education through TV and movies. Greek weddings, mmmm, oh yeah there was a movie about it… what was it called? An Arab wedding? Oh please. TV is too busy showing them throwing rocks in the streets or watching some burning car. Who has time for a wedding? Iranian weddings, I&apos;ve seen plenty of those. I even remember my own Iranian wedding — or was it a Muslim wedding? I remember someone speaking Arabic in it, I don&apos;t know. I just remember people referring to it as a Persian wedding. 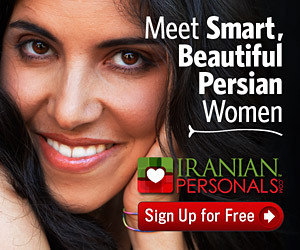 Oh Christ, was it Iranian or Persian now? Damn it! Vietnamese?… nahhh, there have been no movies about it, not even sitcoms. The Vietnam war is still too painful to have a sitcom about it or show a wedding. I guess we&apos;re never gonna see an Iraqi wedding, the way things are going on. As far as Indian weddings go, there was a pretty movie about David Beckham. No, he didn&apos;t get married to an Indian girl. The film is about this Indian girl in the UK. She&apos;s the same actor who played a doctor in ER. Wait a minute, I&apos;m confused now. I think she married a black guy in ER. So, yes, Jews (can I say it?) are definitely the majority race, or is it religion, in US, but they are a lot smaller community than Asians. It&apos;s just not fair to have one Korean wedding in M*A*S*H that ran for some 11 years on TV, one Big Fat Greek Wedding, and no Chinese, Vietnamese, Muslim, or Zoroastrian wedding. Let&apos;s balance it out, ok? Unless Jewish weddings are a whole lot more fun than others. I&apos;ve got to get invited to one.